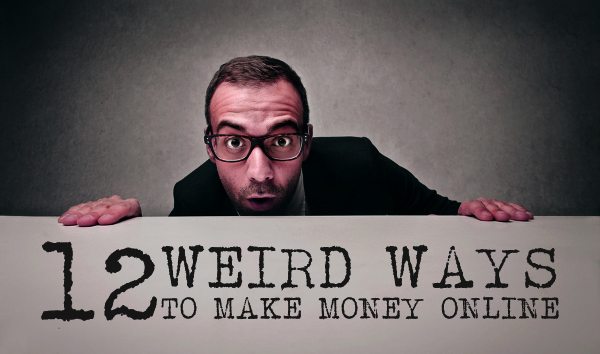 Here i listed out 12 ways to earn extra money. One rupee at a time will teach you to grow one step at a time. Here are the tips for making more side income that may overwhelm you. Even though you are employed are you interested in making extra income in legitimate ways? Do you want to prove yourself by earning more money before the naysayers? Perhaps, working in a second job is better decision for your future. Listed below are few ways to make money legitimately. Reviews are the ultimate source to share your experience with any tool or service. It allows your website audience to choose the best product/service using your real life experience as well as you can make decent amount by sharing your own affiliate link within review. If you are using any good tool, and don’t have any idea how to write a well converting review, then read Thrive content builder review. You would be getting a clear idea after reading it. Mostly each product site runs the affiliate program to increase the sales. You can join those programs and get ready to promote the product. Blogging is a best way to earn money from online. But it's not such an easy way to attain money soon. You can earn extra money using your blog by spending some hours to research and analyse about blogging, SEO, SMO, Traffic etc… Updating content regularly on a consistent basis may bring more traffic to your blog. You can also use this Thrive Content Builder wordpress plugin to convert your visitors in to customers and customers in to your clients to make more money. This is the better option to earn extra money. You can search for the best online consultancy through the internet and get enrolled in that so that you will get a call for any openings available. There are many online surveys available in which you can participate and register your opinion. You will be paid for such attempts. But remember, since the internet world is vast, there are also many fake sites offering surveys. Thus, be careful in choosing the survey sites and ensure that they are not fake. Sites like Surveysavvy, panelplace are good and legitimate sites. This is a rare and unique idea but yet a working one. Be a pet sitter taking care of your neighbour's pets at the time they are out. Seriously, a good idea. You can start a lawn mowing service which can be very successful when you have free morning time. You can grow vegetables in your own garden and rather sell it for a best price. You can help the senior citizens in doing some household works or in other cases too. Even though you won’t get more money in this you will feel fulfilled in helping some others. This is the best ever idea one can follow. Since most of the parents are working people they need some reliable place to leave their children. Thus, start a baby sitter and can earn good and handsome money. If you are a professional in the computer field then you can try out the part time programming jobs which are really encourage-able since it adds the reputation to your profile. Many company offer programming modules to solve which will be rather easy if you have a good experience in that field. You can start designing the websites on your own if you attend any web developing course. Learning to create a website will help you a lot and will earn more extra income. This idea not only allows you to earn money but also to learn many things and turns you into a professional website builder. If you are an expert in playing any musical instrument or if you are well trained in practising yoga then you can earn a handsome money in teaching these courses to others too. If you are interested in cooking and can make delicious dishes then you can take party orders and earn handsome of extra money. Thus, there are many ways to earn money legitimately. In addition to this there are also other ways to earn money in the online world. But however, before getting into any job, thoroughly verify and analyse the job and plan according to that. Then, you will be sure to get enough extra income for yourself. Hope to see u again shivani. Superb post bro. I’ll surely try any of the methods mentioned above. It is not an exaggeration that your blog is very rich with useful content. Your blog is rich with useful content. Keep going. I’ll also try any of the methods mentioned above. Keep going. Thanks for coming here bro. Glad you like this post. Keep coming.